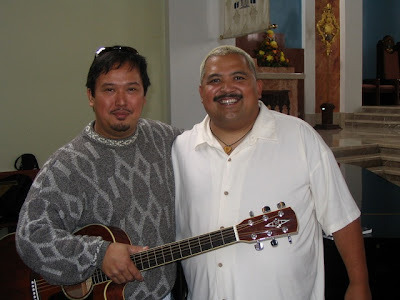 During the week of March 29th, “The Commons”, a Catholic music show which airs on CatholicTV, will feature musicians Jesse Manibusan, and Matt Maher. Jesse will sing and discuss the song “Gracious God”. Matt will sing and discuss the song “Shelter”. The Commons airs each week at CatholicTV.com and on CatholicTV at the following times (Eastern): Monday 6AM and 9:30PM, Thursday 2AM and 5PM, Saturday, 11:30AM and 9:30PM. “The Commons”, is a coffee house-styled music show which includes performances by Catholic musicians such as Jesse Manibusan, Matt Maher, Sarah Hart, and others. The show also includes interviews of the musicians in which viewers can get a glimpse into the lives and spirituality of the musicians.